Grainy photo, but it's the only one I have with the room not quite moved in yet. Either way, the occupant is visibly happy. 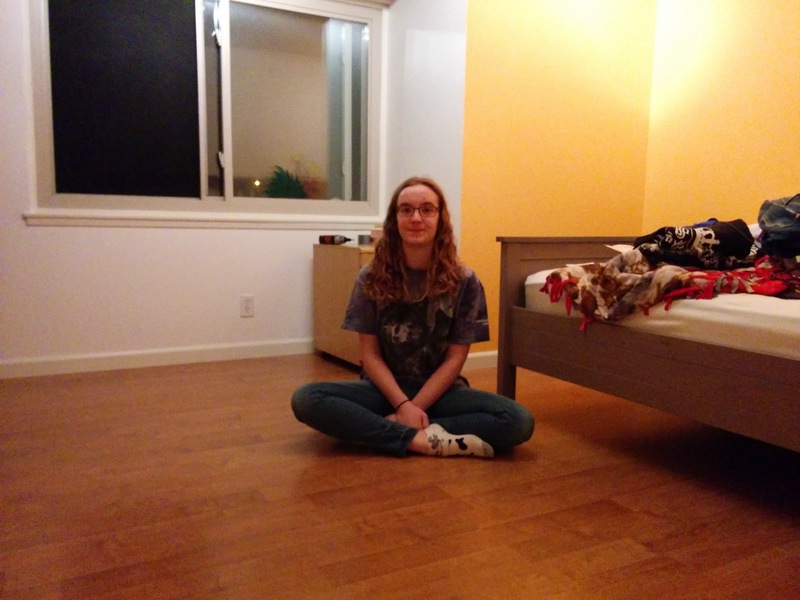 Here's a timelapse video of me installing the flooring.